After a few months devoid of new content, it's time to play a little catch up. In an effort to present myself as an opinionated contributor to the blogging community, I present you with a grab bag of concise reviews of recent releases within the realms of music, film and comics. After the incredibly solid, yet unsurprising Gimme Fiction, many expected Spoon's next effort to be something very different. While not the groundbreaking record eternally expected from them, Spoon's newest does push the envelope a little and is my new favorite studio recording of the band. 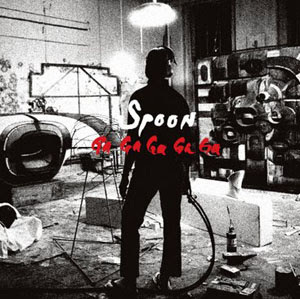 This is Spoon record, it sounds like Spoon (with a dash of the avant-garde tendencies of Britt Daniel and Jim Eno), and there really aren't many suprises, but it's prehaps their most solid release to date. "The Ghost of You Lingers" and "Finer Feelings" show that the Spoon formula can be shaken up to great success, while "Underdog" punches up a standard Britt Daniel tune with the help of a killer brass section and the production expertise of Jon Brion. Everything else sounds vaguely familiar, but that's not a bad thing. Spoon has found their niche, and they're not trying to sound like the next big thing, just Spoon. A comic based on a satirical cartoon, derived from a satirical news program!? Could such a formula ever work? My biggest fear was that the writing wouldn't sufficiently translate the campy, irreverent humor and over the top imagery of the cartoon onto the written page. Surprisingly enough, the first issue is an unabashed success. Containing two separate narratives, one part of a continuing storyline and the other a side-story set within the Tek Jansen universe, issue one keeps the introductions short and cuts straight to the Alpha Squad 7 humor that viewers of the cartoon shorts will feel very familiar with. The art style strays slightly from that of the show, but finds a happy medium between the televised look and a more conventional comic art feel. Overall the results are better than I would have expected, definitely worth a look if your a fan of the show. The long-promised Simpsons movie finally arrives, and to no one's surprise, it's exactly what we expected. A 90-minute version of the TV, replete with some fancy special effects (computer generated backgrounds à la Futurama) and celebrity voice talent. The story is predictable, Homer and company must set out on a quest to save Springfield from certain doom. The only problem with this is that it takes our heroes away from the town for so long, that much of the cast of the TV show are relegated to cameo appearances. The movie also makes blatantly obvious Homer's glaring character flaws. On television 22-minutes of stubborn stupidity is tolerable, but 90-minutes of these antics come very close to being annoying. All in all, it's the film most fans were hoping for with series in-joke abound, and plenty of stabs at pop-culture to entertain casual viewers of the show. Not a classic by any means, but still a great way to waste a summer afternoon. 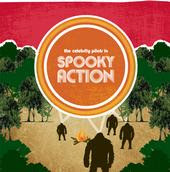 I was lucky enough to receive an advance copy of this album a few weeks back, and I'm glad to report that Spooky Action is a worthy successor to Beneath the Pavement, a Beach!. Chris Sheehan and company deliver yet another solid collection of psych-pop tunes that improve upon the formulas set forth on their debut release. The songs still fall into one of two catagories; synth-driven rock anthems and quasi-pensive acoustic numbers with wavering vocals. The former still fairs the best, with songs like "Happy Bloom Day" and "Festival of Flies" standing shoulder to shoulder with rockers from their previous effort. The acoustic numbers are much improved (perhaps my least favorite moments of their debut record) but still feel somewhat out of place. The best of the bunch is "Our Dumb Century", which finds Sheehan lamenting about the stupidity of humanity over a cascade of cheerful piano chords. Worth a look for fans of bands such as the Apples in Stereo and Ted Leo/Pharmacists, it should hit record shops sometime this month. hey--i've been reading your blog for a while and i wanted to let you know that i really enjoy it and hope you keep posting. i was wondering how you created the header at the top or if you had it made for you? Thanks so much! I made my header using an old version of photoshop and some pictures I took of cassettes.